This PLA 3D printer filament 1.75mm translucent red 2028C prints with ease. 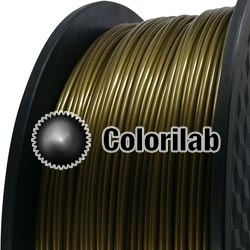 It is a precise 3D printing filament which diameter varies little along its length, within a single product. Our tests resulted in a perfect 3D print, at high speed, to a nozzle temperature of 225°C. Other properties and features are listed on this page.